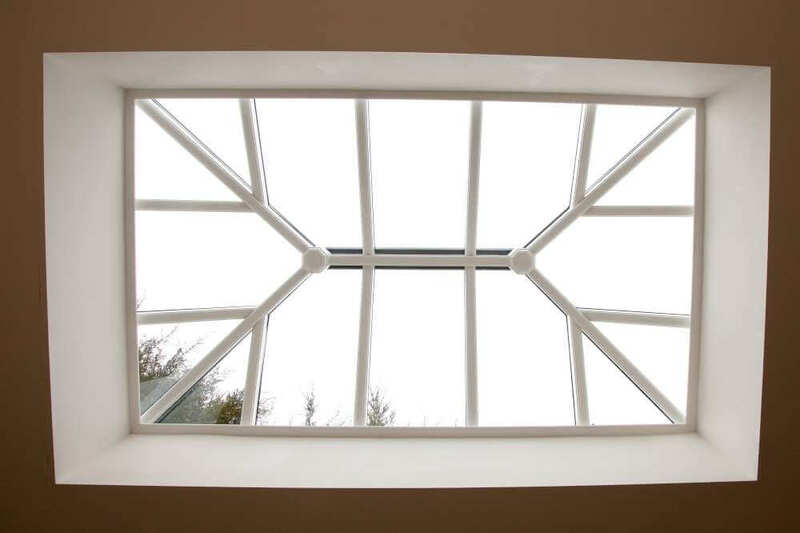 A roof lantern is the ideal way to shed a little light into your home. 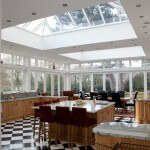 It’s an open space in your roof that consists of a raised frame and glass panels. 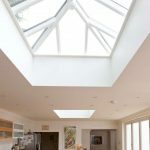 You can really transform your home with the installation of a roof lantern – by day any room in which a roof lantern is installed is illuminated by natural sunlight. 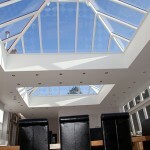 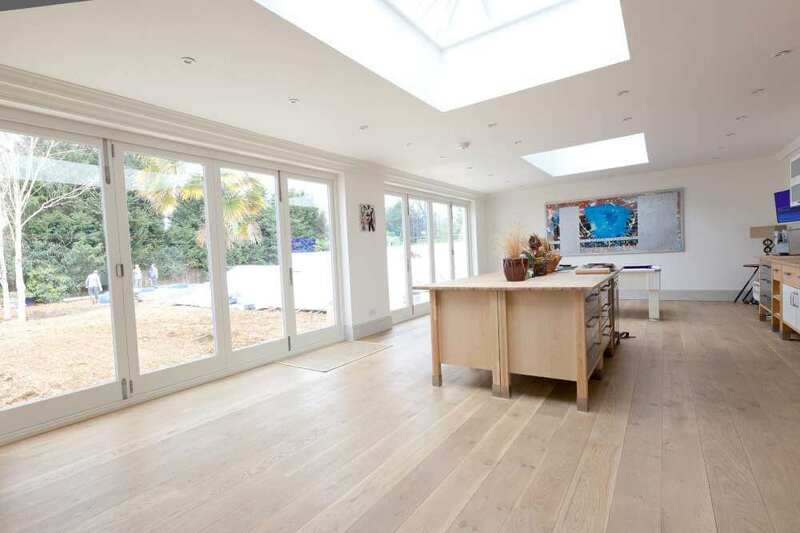 Roof lanterns are also a superb architectural feature. 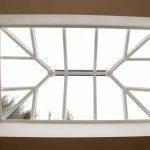 There’s no doubt that by adding a roof lantern to one or more areas of your house you be increasing the value of your home. 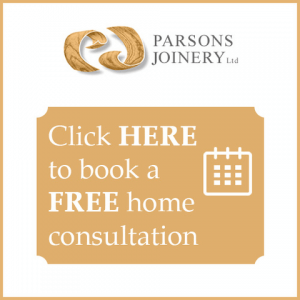 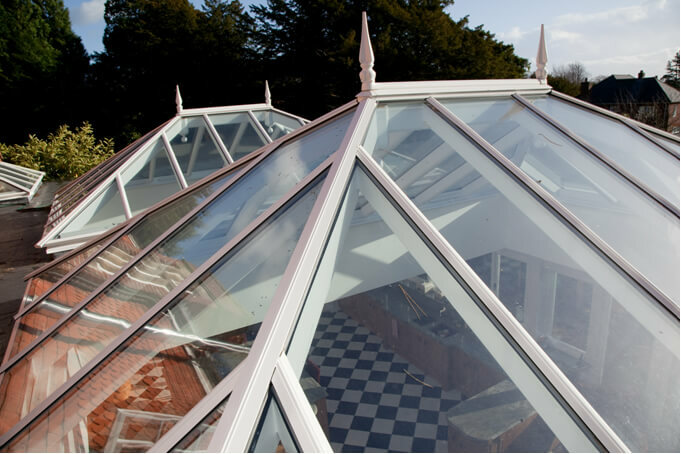 At Parsons Joinery in Sussex we can offer you many different options when it comes to roof lanterns – just make sure you contact us and ask. 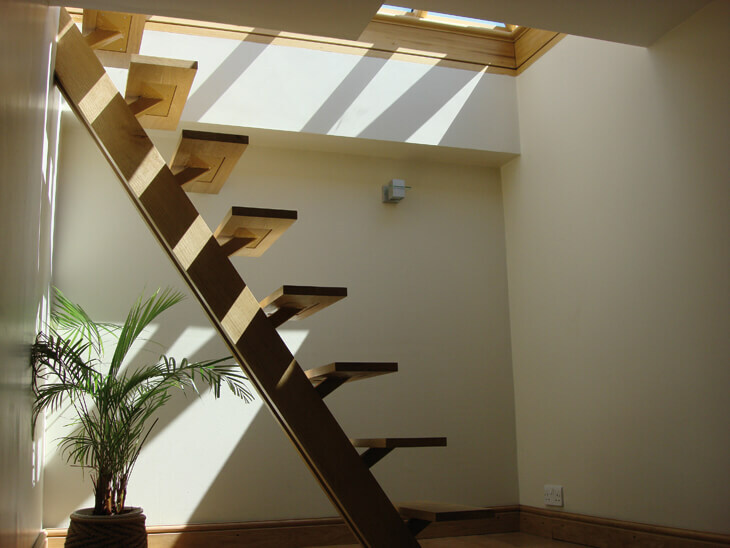 No matter the application, we can offer you a bespoke solution that’s sure to suit. 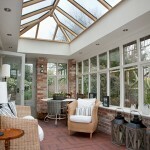 Want to transform a dark and gloomy space in your home? 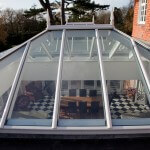 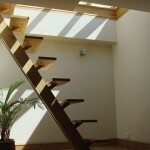 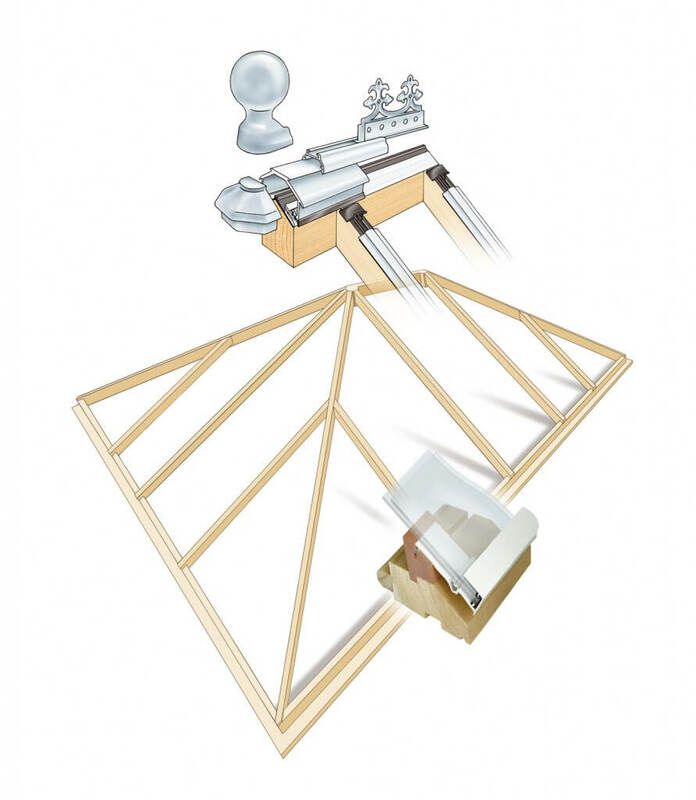 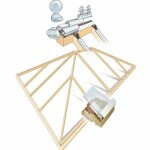 The design solution could be a roof lantern from Parsons Joinery. 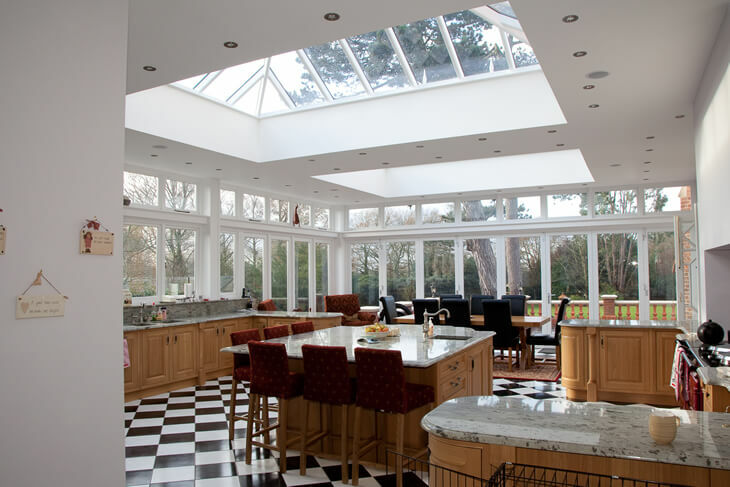 Whether you are creating a new space within a project or re-developing an existing one, the inclusion of an individually-built timber roof lantern will create a room which is bathed in natural light whilst providing a stunning architectural feature and dramatic views of the sky above. 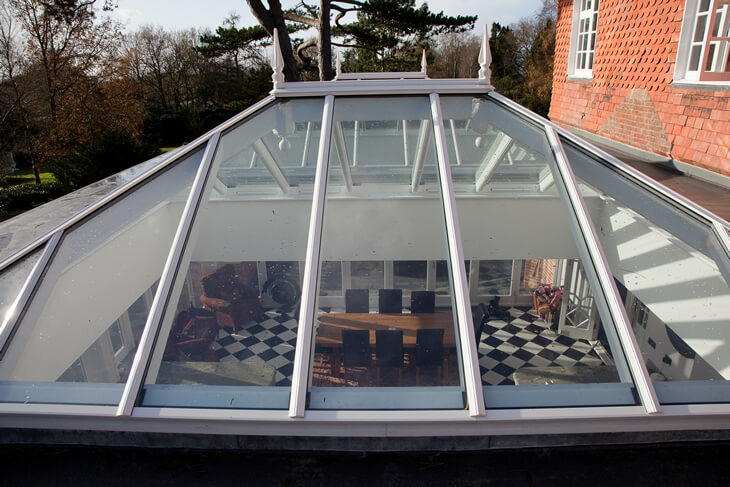 Designers, building contractors and private clients have positioned roof lanterns on flat roof extensions above a particular area of interest such as a kitchen or living space or they can be used to spectacular effect above stairwells, offices, restaurants or shops. 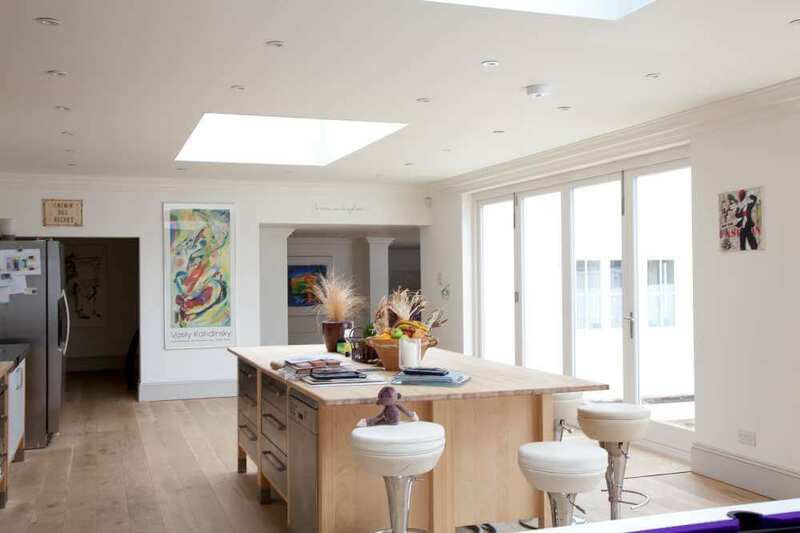 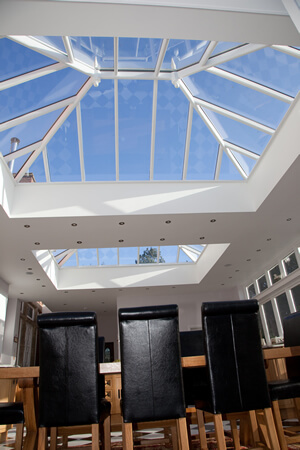 Roof lanterns not only create a fantastic natural lighting effect in a living space but also create space by adding height to a room. 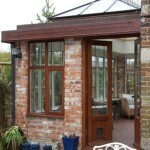 Additionally they can add interest and character to the exterior of a structure which may otherwise be commonplace. 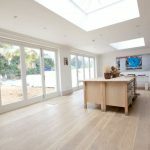 Parsons Joinery have utilised their considerable experience in manufacturing and installing high quality custom-made joinery, to create a roof lantern design which offers the beauty of a natural product on the interior whilst providing a practical maintenance free solution on the exterior using an aluminium dry glazing system which creates a fully water tight roof structure. 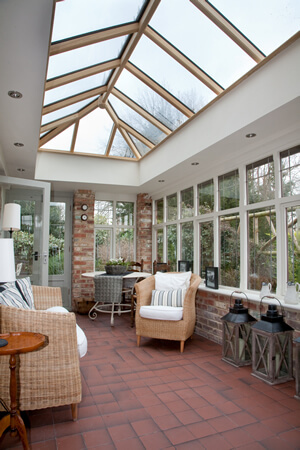 Ensuring that valuable heat is not lost through the glass, lanterns are double glazed and can incorporate the latest features of glass technology to reduce heat transmission and self cleaning properties where access is limited. 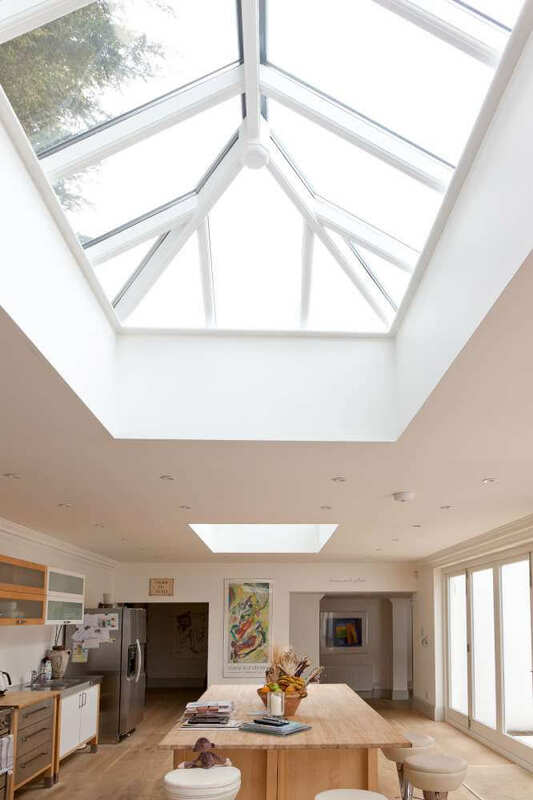 If you require ventilation our lanterns can be designed with skylights in the roof section, top hung openers in the upstand or trickle vents within the basic structure. 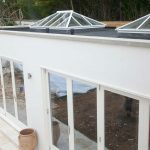 Designs include square, rectangular and octagonal, with or without an upstand, double hipped, single hipped or gable ended depending on your application. 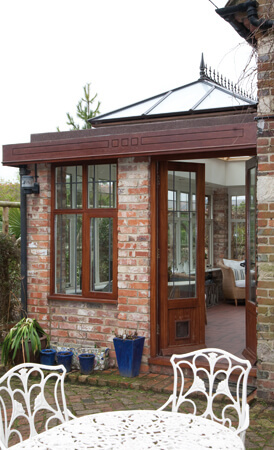 Our lanterns can incorporate finials and crests to the exterior for a more traditional aesthetic or, alternatively, can exclude these features for a more contemporary finish. 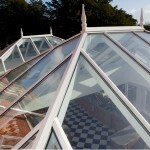 Each lantern is individually pre-assembled within our workshop prior to delivery to ensure problem-free fitting. 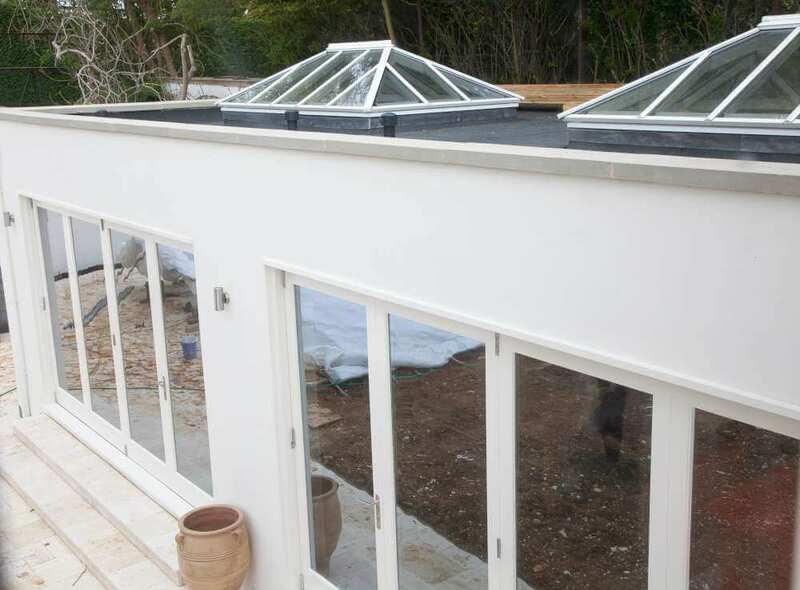 Our highly experienced fitters are available to construct the lantern on site or, alternatively, we can provide full assembly instructions for your chosen contractor.